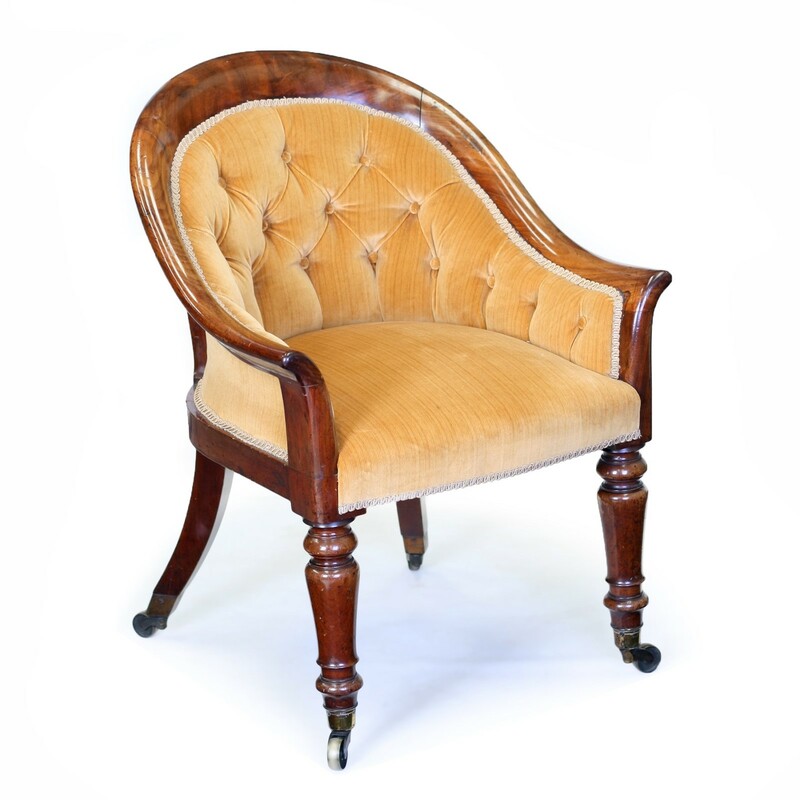 A Victorian mahogany upholstered tub chair, with buttoned upholstery, raised on turned tapering legs and Cope and Collison castors. Seat height: 45cm. An elegant and exceptional quality chair. Nestled within South Northamptonshire, in the historic Roman market town of Towcester, Ron Green have established an excellent reputation for dealing in period and decorative furniture since 1955. We're proud that we continue to be a family business and many traditions are still with us from the beginning, such as acquiring honest pieces for their individual charm, patination and design, both grand and humble. Our clients range from interior designers and architects, to local, national and international private customers. 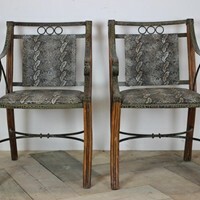 We always aim to hold an eclectic collection of pieces, ranging from English country house to provincial continental, as well architectural elements to stylish Victorian furniture. Our high street showrooms in Towcester aim to inspire and display to you what can be achieved in your home.